An 18th century hill figure? Graffiti regarding Oliver Cromwell? 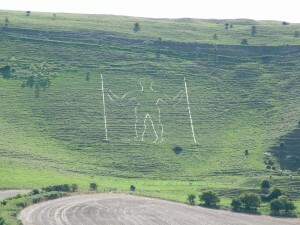 The outline of a vanquished Sussex giant? The gatekeeper to the Hollow Hills of the Faerie? So many things to so many people, and still theories keep coming. 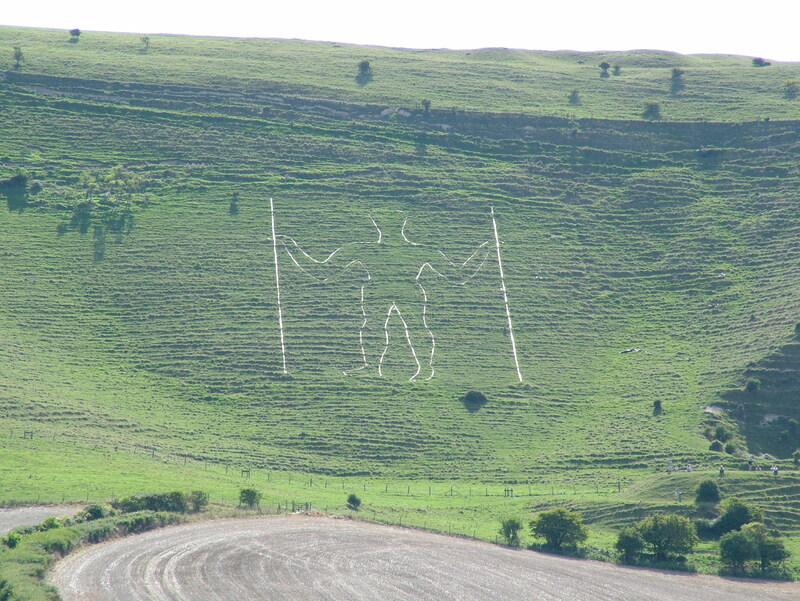 We might never know for sure, but to the poet that makes this Sussex giant all the more magical. The Anderida Gorsedd was called to work here and honour this place. Whether it is an ancient Pagan sacred site (and the Neolithic barrow cemetery above the Long Man suggests it was) is not so important. The call to celebrate here was too loud to ignore, and over the past 14 years, it has become sacred to all of us. In the past the Gorsedd has helped with the upkeep of the Long Man. If you do visit the site please respect the signs and stay off the figure itself. He looks much better from a distance anyway.